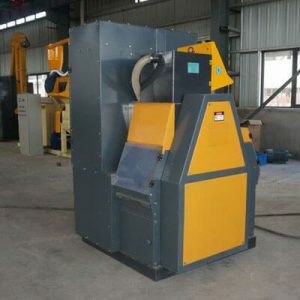 Copper cable granulator is an ideal scrap wire recycling machine that is specialized in processing auto-wire, communication cable and other mixed copper wire and cable with diameter less than 20mm (1-20mm). Copper recycling rate can be 99%. 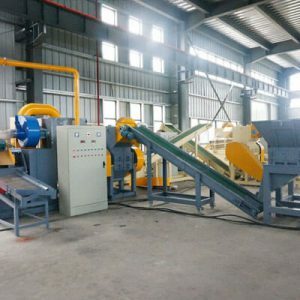 Whirlston Copper Wire Granulator adopts dry type separating method, during the whole working process, there is no pollution and little noise—A dust control and collection system can be included with all systems. As a company focused on customer needs, to cater to individual production requirement, Whirlston Machinery manufactures and provides 4 KINDS OF CABLE GRANULATOR MODELS (meet most budgets, for small-large processors, all types of wire and cable) here now, separately being: Mini 400 Type (mini granulator); 400 Type (small granulator); 600 Type (medium granulator); and 800 Type (large scale cable granulation plant). 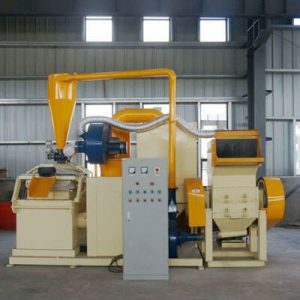 Mini 400 Type Copper Granulator is used to recycle and separate all kinds of cables whatever telecommunication cables, household wires, auto wires, power line etc. with best separating effect and recovery rate. Electric wires can be copper – PVC wire, aluminum -PVC wire, copper-rubber, aluminum-rubber wire. Various shapes of wire can be processed like single core, multi-core and even twisted or tangled wire. The diameter of wire/cable recycled can be from 0.2-20mm. Why should You Choose Mini Granulator? Too often, valuable copper wiring and cable, are lost or discarded. But with this mini cable granulating equipment available today, these materials can be recovered and efficiently recycled even at home. The environmentally friendly MINI CABLE WIRE GRANULATOR is with lowest sound levels in the industry, coupled with the smallest machine footprint for compact installations of their size. Suitable for small scale production. It can split granulated copper, aluminum completely from the plastic casing. Moreover, it is technically and economically suited fro homemade and small scale recycling business. Compact structure, less land occupancy: it is mounted on a steel base for easy portability. Easy to move, place and install. Easy to move and low energy-consumption: The voltage can be customized according to our clients’ specific requirement. 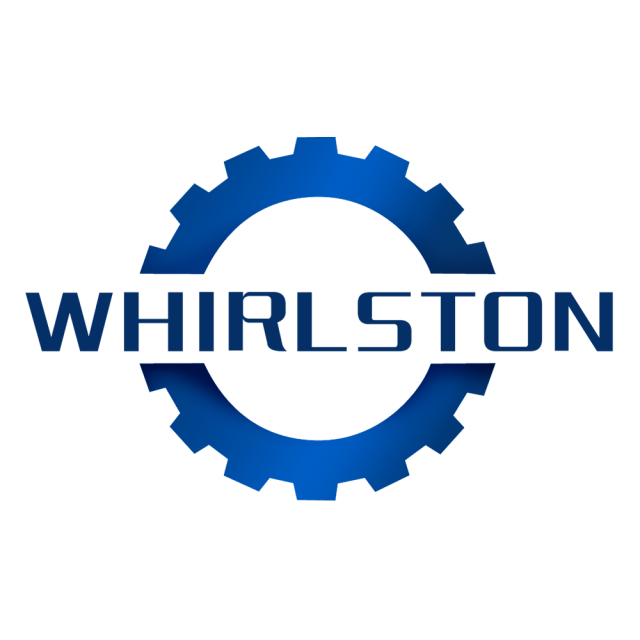 Low operating and maintaining cost and high economic profit: As a professional manufacturer, Whirlston machinery can provide a more competitive price with qualified machines. Suitable for small scale production. How does 400 Type Cable Granulator Work? During the past decade, strong growth in emerging economies, coupled with an increased use of copper for innovative technologies, has led to significantly higher copper demand. The recovery and recycling of copper helps to satisfy this demand and to build a sustainable future. Copper is highly prized by scrap metal collectors and scrap metal recycling businesses. It holds as much as 90 percent of new copper value, and as such it is one of the basic targets for many scrap metal collectors. Different voltage motor of 220V,380V and 480V to meet different requirements. Easily customize your own state-of-the-art wire granulator models for your unique use case. Suitable for medium size production line. The production capacity ranges from 300 to 400 kg per hour. Cable recycling plants are specially designed and manufactured systems for processing mixed cables of varying size and composition. The systems include pre-shredding, steel removal, granulating and separation of plastics from copper or aluminum. The advanced design of these plants results in excellent separation of the different fractions. Crushing is the first step to recycle copper. After being crushed by plastic crusher machine, the wire can be 3-5mm. 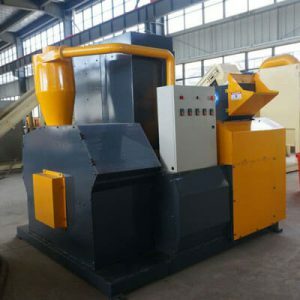 Copper granule and plastic skin are discharged from two different outlets, if there are any copper clad, they need to be re-crushed.